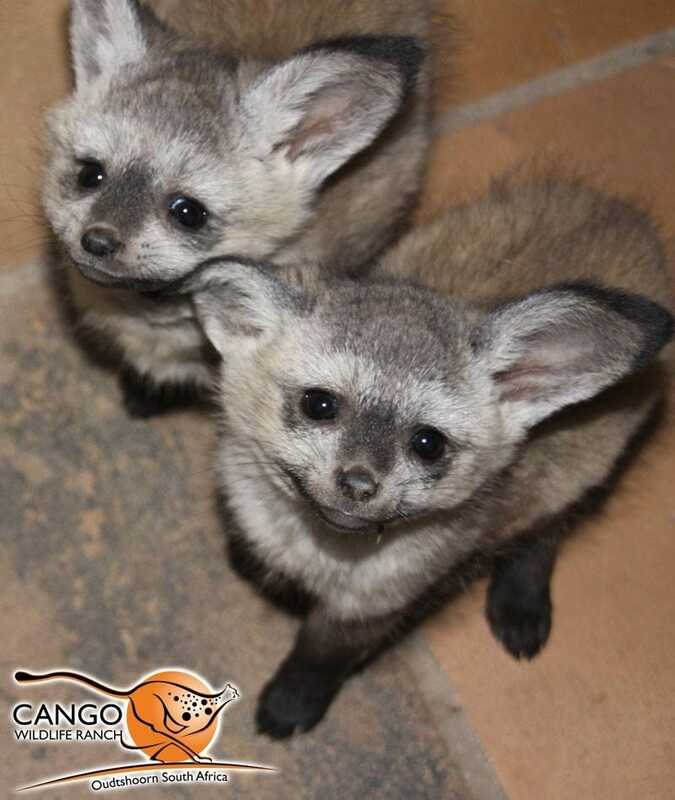 These baby Bat-eared Foxes were rescued by a farmer who discovered them when he was building a dam on his property. When the dam collapsed, they were seen struggling in the water, so he scooped them up and attempted to locate their den and/or their mother. He wasn't able to find either, so he brought them to the Cango Wildlife Ranch in South Africa for urgent care. They were only two weeks old at the time. With the help of constant care from the staff and a non-nursing surrogate mother called Lucy, these little foxes were able to recover. The two siblings, a boy and a girl called Bandit and Becky, have fit in nicely with the Cango Wildlife Ranch family. I've written about Bat-eared Foxes in my Wednesday Woof series.